The new refugee deal between the EU and Turkey began last week. Any new migrants arriving in Greece will be deported back to Turkey, and for each person returned to Turkey, the EU will take in another who has made a legitimate request. This deal is a huge mistake. The deal has good intentions, it intends to stop the people smugglers sending refugees out in rubber dinghies across the Mediterranean Sea and instead encourages people to stay put, applying for asylum legitimately. However, the EU is forgetting one thing, most of these people are desperate. The vast majority are fleeing a war-torn country and are desperate to get as far away as possible. Instead of stopping the people smugglers, they'll just come up with new routes to Europe, most likely a longer and more dangerous crossing to Italy, risking even more lives. That is not the main problem. The bigger problem is with the EU cosying up to Turkey. I have no problem with Turkey joining the EU in principle, nor with the implications for freedom of movement that may bring. The Turkish government is dominated by President and former Prime Minister Recep Tayyip Erdoğan, a man whose ambitions for power know no bounds. Since his party took office in 2003, human rights and democracy have declined in Turkey. The free press have been taken into government hands, no criticism of government is tolerated and the Kurds have continued to be denied basic rights - they’re not even allowed to teach their own language in schools. Moreover, the Turkish government tacitly support ISIS in its fight against the Syrian Kurds - I’m not sure support for ISIS is in the EU’s best interests, nor will it help stop the refugee crisis - it seems obvious doesn’t it? The EU has always championed democracy and human rights, countries must meet specific criteria to join, but it seems that the EU has put those principles aside to get Turkey's help - you can’t imagine the EU signing a similar deal with Putin! The EU have lost control of this crisis. They’re unsure what needs to be done to resolve it, but this deal will not help. 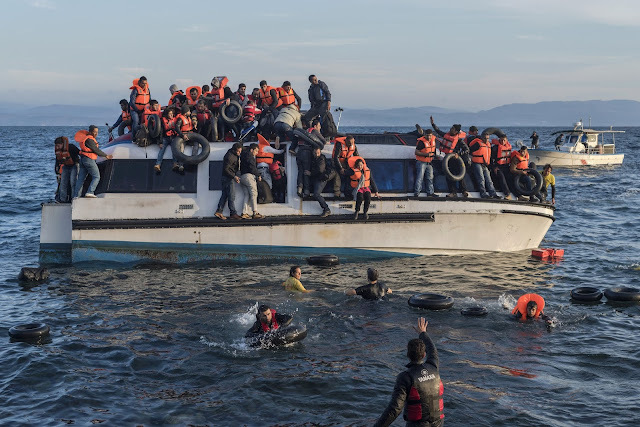 The EU needs to look closer to home, introducing proper migrant quotas and working towards a political solution in Syrian so the battle against ISIS can be focused on. The UK certainly needs to play a far bigger role in this crisis too. But signing away their own principles in deals with dictators is not the way to solve this problem.